(585) 305-2574 | Connect with us! How Much Money Can Geothermal Heating & Cooling Save You on Your Energy Bills? Geothermal technology can save you money every day. By tapping into the constant temperature below the earth’s surface, your system will run more efficiently and won’t have to work as hard to heat and cool your home. Numbers from US Environmental Protection Agency (EPA) show that homeowners using geothermal systems may realize savings of 30-70% on heating costs and 20-50% on cooling costs, compared to other conventional systems. That can translate to savings of $1,500 annually. How Much Will You Save? Use Our Calculator to Find Out. Please note: This calculator is intended to provide an example of your potential geothermal savings. For a more accurate estimate, as well as an assessment of your sitation and a detailed recommendation of the type of system that’s best for you, contact us to request your free home energy audit. * Loans provided by EnerBank USA, Member FDIC, (1245 Brickyard Rd., Suite 600, Salt Lake City, UT 84106) on approved credit, for a limited time. Same-As-Cash Loan – repayment terms vary from 24 to 132 months. Repayment terms vary from 24 to 132 months. Interest waived if repaid in 365 days. 4.99% fixed APR, subject to change. Interest starts accruing when the loan closes. 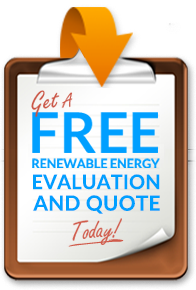 Get a free Energy Evaluation & Quote!